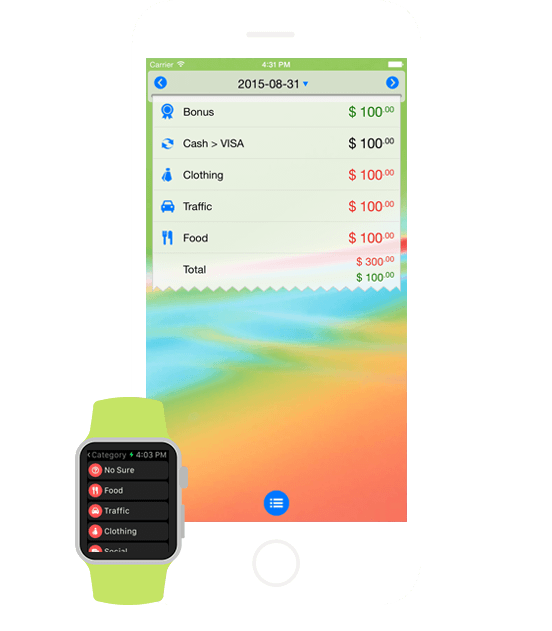 You can create incomes and expenses from your Apple Watch. 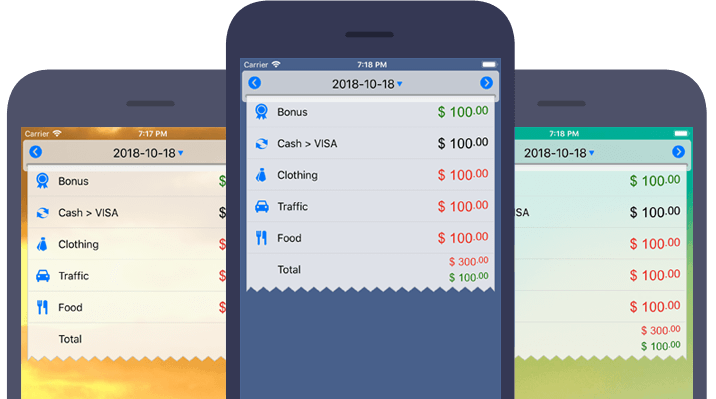 pull down, fill money, choose category. Everyone cannot open, only you. even double-click the Home button, in the App list can not view the data. Support more than 160 kinds of currency, conversion exchange rate automatic updates. Just download the app from the store. Simple, nice and user-friendly application of personal finance. Only relevant and useful information.